The Investor Advisory Committee appointed a new chair and Dodd-Frank has his back. 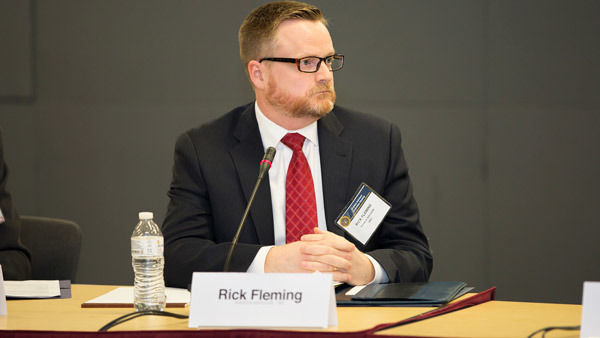 Rick Fleming, the Securities and Exchange Commission’s new investor advocate, said Thursday that the Dodd-Frank Act gave his office “broad authority” in overseeing issues that impact investors. A “big part” of the Office of Investor Advocate’s job, Fleming said during a meeting of the Investor Advisory Committee at SEC headquarters in Washington, will be in the policy area. “Dodd-Frank gave me pretty broad authority to look at issues that affect investors,” and that includes rulemakings, legislation on Capitol Hill or specific products, he said. Fleming said his office will have six employees, including himself, and that he’s currently hiring an ombudsman, two senior attorneys, a junior attorney and an economist. The ombudsman, he said, will be the point person for investors to go to if they have a problem with the SEC, not with their broker or advisor. See also: Why is the 401(k) industry getting such a bad rap? The committee also appointed Kurt Schacht, managing director of the CFA Institute, as its new chairman. He replaces Joseph Dear, the former chief investment officer of the California Public Employees’ Retirement System, who died of prostate cancer in late February. Dear was 62. The committee’s Investor as Purchaser subcommittee also proposed a set of recommendations for the SEC to consider as it writes rules for crowdfunding. Withdraw its proposed definition of electronic delivery, which fails to ensure that investors actually receive the required disclosures and educational materials, and continue to rely instead on the strong and effective policy for electronic delivery adopted by the Commission in the mid-1990s. Barbara Roper, director of investor protection for the Consumer Federation of America, who heads the subcommittee, noted during the meeting that the SEC has a “daunting task” in writing crowdfunding rules as there are “20 some rulemaking areas” for the commission to consider. “It’s a very daunting task to create this new marketplace and write the rules in a way to maximize the benefit for investors and minimize the risk,” Roper said.